This Tuesday, October 9th, 2018, the City of Folly Beach has an opportunity to follow the lead of more than 30 communities across the country that have used regulation to protect and encourage unique character in business districts. In other words, regulating chain businesses that would otherwise be allowed. The mechanism to do this is through a formula business ordinance. Learn more about formula businesses here. Formula business ordinances have become one of the most effective tools cities and towns have in the ‘toolbox’ to ward off the creep of ‘Anywhere, USA’ or to retroactively address business districts inundated by chains. This approach also has the advantage of being revenue neutral for cities, meaning this is a way to protect and enhance local character that doesn’t require subsidies or tax revenue. Lowcountry Local First has advocated for local municipalities to consider this approach to capitalize on the value of already-unique neighborhood business districts. In 2015, we worked with the neighborhood association in downtown Charleston’s Spring/Cannon business district, where the neighborhood association gave unanimous support for the concept. Ultimately, the City of Charleston opted to not allow a vote on the matter. In 2018, we approached the City of Folly Beach. After several months of introduction to the idea, and with support from city staff, the City of Folly Beach Planning Commission voted on October 1st to unanimously support a proposed ordinance to prohibit any future formula businesses on the island of Folly. This ordinance is not about protecting local businesses. 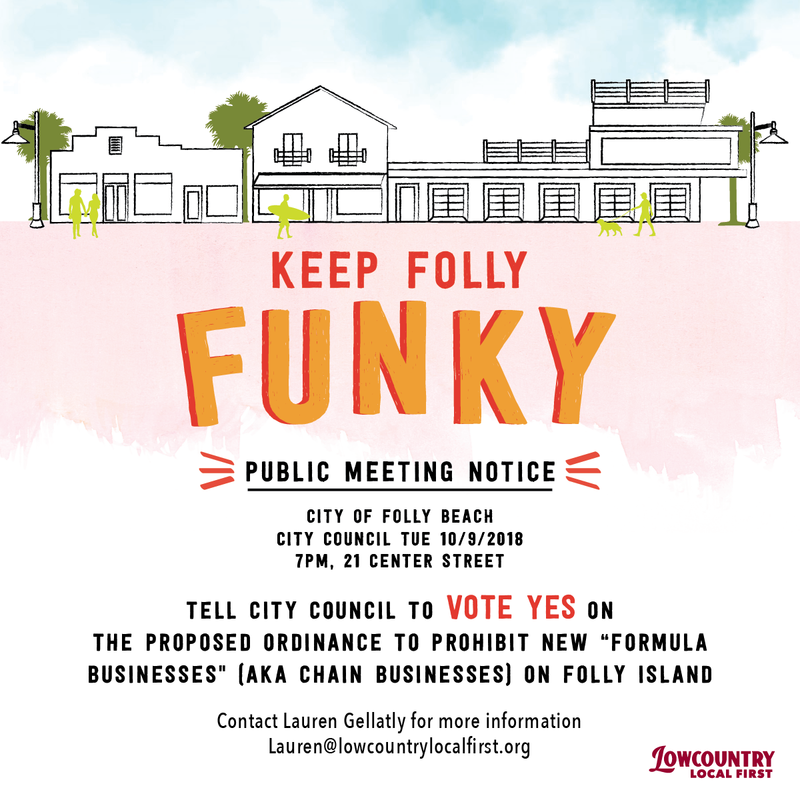 It is about preserving the unique character known as “Funky Folly” that is referenced the 2015 City of Folly Beach Comprehensive Plan. Now, Folly City Council will vote on the ordinance THIS TUESDAY, Oct. 9th, 7pm at Council Chambers – 21 Center Street. Please attend the City Council meeting on Tuesday, Oct. 9th at 7pm and speak in favor of this ordinance! The more voices, the better! Please share with your Folly neighbors and businesses. If City Council votes to approve the ordinance on Tuesday 10/9, then a second and final vote will happen next month at the Nov. 13th City Council meeting. – See the City of Folly Beach proposed ordinance HERE. – See the city’s official zoning map HERE, or LLF’s detail map HERE. – Learn more about Formula Business ordinances, and why LLF supports this for the City of Folly Beach in our 1-page overview HERE. 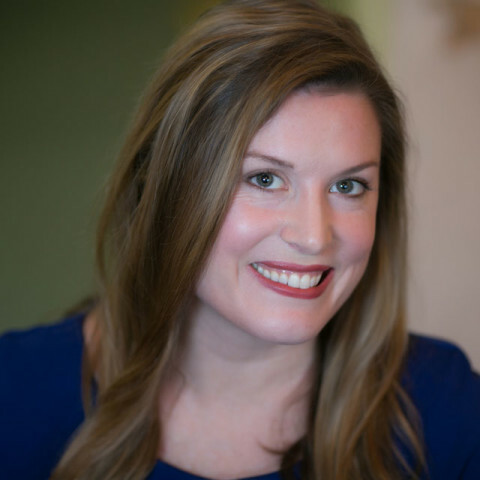 – If you would like to be added to LLF’s interest list on this topic, please email Lauren Gellatly at lauren@lowcountrylocalfirst.org .